Unless you we’ve been living offline lately, you may have heard of Instant Pots. At the very least, you saw a bunch of people posting on Facebook that they bought on on Prime Day (July 12th). I heard about them several months ago and was intrigued, when they finally went on sale on Prime Day I picked one up on Amazon. A week later my journey to cooking with a pressure cooker began and my crock pot may get a little dusty. Pressure cookers cook things quickly under pressure (hence the name) and are great for rice, beans, soups, chili, and so much more. They are similar to slow cookers, but fast! The one that I have is electric and is super safe and easy to use. They are a little intimidating if you’ve never cooked with them before and you may have to adjust your slow cooker recipes a little. I’m finally starting to get more comfortable with my Instant Pot and I’m so happy that I made this purchase. This week at the grocery store the bean aisle was calling my name. I’ve always loved the idea of dry beans but I don’t have the patience to cook things for 8+ hours and rarely plan that far in advance. 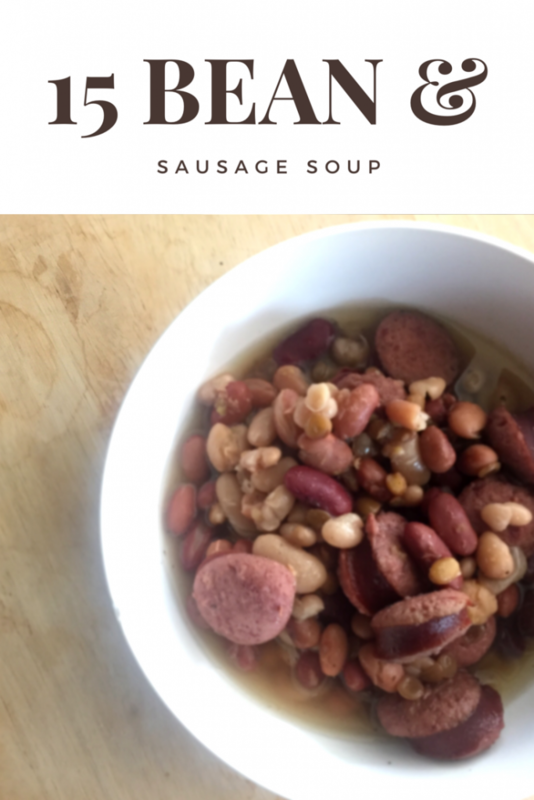 I decided to pick up a bag of 15 bean mix at Publix along with some sausage to try making a bean and sausage soup. The directions that came with the Instant Pot (IP for short) gave directions for both dry and soaked beans. For this recipe I did decide to presoak my beans earlier this morning. To soak, simply place the beans in a pot or bowl and cover with water. I let them sit (covered) at room temperature until I was ready to cook dinner tonight (about 6 hrs). The one thing I’m learning with my IP is that while they may be quicker than a slow cooker, they still take about the same amount of time to prepare as stove top cooking. The difference is that you’re not standing over the pot stirring and you’re definitely not stuck in the kitchen. Once you close the lid, you walk away! For seasoning, the bag of beans came with a ham flavor packet and I also added some salt and pepper. This would be great with onion added too but I was out. Basically just toss in your favorite flavors. Spice it up if you like. Soak 1/2 bag of dry beans for 6-8 hrs. Set IP to beans/chili and set timer to 25-30 min. Close lid and make sure the steam release valve is closed. Walk away and prepare side dishes, desserts, or play with your family. While the cooking time for this is only 25-30 min, add about 10 minutes for the pressure to build up before the timer starts. It also took about 25-30 minutes for the natural release method. If you like your beans a little harder you could set the timer to 20-25 min. If you don’t soak your beans, you should be able to use this same recipe but set the timer longer. I haven’t tried that yet so you’ll have to experiment with the timing. This batch cooked for 30 minutes and the beans were perfect to me; may just slightly mushy. 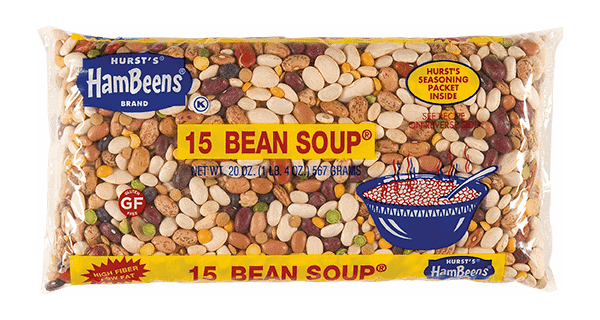 The kids and I all devoured ours and didn’t leave a single bean in the bowl; I call that a success. I’m excited to make chili this Fall using dry beans instead of canned!! 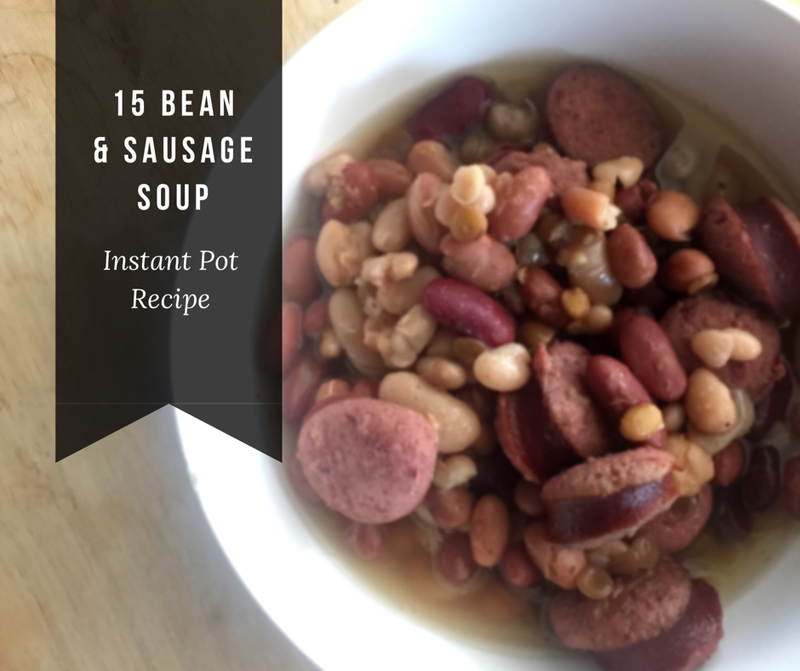 The possibilities with the Instant Pot are endless. Did you jump on the IP Bandwagon? What’s your favorite recipe?